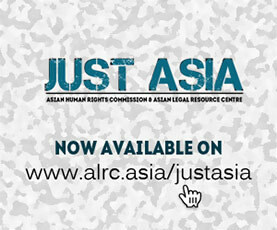 The Asian Legal Resource Centre (ALRC) welcomes the United Nations Human Rights Committee’s Concluding Observations, which insist that Bangladesh must “effectively criminalise enforced disappearance” and “put an end to the practice of torture and ill-treatment”. The Committee has also asked the Government of Bangladesh to provide, in its next periodic report, (i) the number of investigations conducted; (ii) the convictions secured and (iii) the disaggregated information on penalties that have been imposed on perpetrators. These Observations are a result of the United Nations Human Rights Committee (UNHRC), a Treaty Body established under the International Covenant on Civil and Political Rights (ICCPR), having just completed its 119th Session, wherein Bangladesh’s rights situation has been reviewed. The ALRC, along with six other international, regional, and local partners, had itself submitted a Joint Alternative Report to the Human Rights Committee prior to the Session in 2017 and also a List of Issues, earlier in 2015. Finally, on March 6 and 7, the UNHRC considered Bangladesh’s initial report, which had been overdue for 14 years. And, now the Human Rights Committee’s has published an advanced version of the concluding observations; it is expected the full version will be made public soon. The recommendation of the Human Rights Committee is significant, despite the fact that Bangladesh’s Law Minister Mr. Anisul Huq had skipped the question about enforced disappearance while he was speaking during the Committee’s 119th Session. The Minister had said in his statement that “there is no such term in our national laws” as “involuntary or enforced disappearance” by referring to “kidnapping” and “abduction” of citizens by criminals. Such escapist attitudes of the government contribute to frustrating the Bangladeshis, who know that the law-enforcement agencies have been consistently committing enforced disappearances for the last eight years. The Committee has recommended Bangladesh “put an end to the practice of torture and ill-treatment.” The Committee has asked Bangladesh to establish an independent complaint mechanism with the authority to investigate all reported allegations of, and complaints about, torture and ill-treatment, so that alleged perpetrators of those crimes are prosecuted and the victims are provided full reparations. Any government, which claims to be the people’s true representatives and is ambitious to stay in office by renewing its people’s mandate, should not exhaust the opportunities presented, this time by the UN, to shift course, and to stop committing crimes against humanity. The Human Rights Committee has emphasised the “limitations on the rights of journalists, bloggers, human rights defenders and civil society organisations to exercise their right to freedom of opinion, expression and association”. It has raised its concern over the “undue limitations on the ability of human rights defenders and non governmental organisations to operate, through the Foreign Donations (Voluntary Activities) Regulation Bill, 2016, which restricts the ability of non-governmental organizations to secure resources and makes it an offence to make “inimical” or “derogatory” remarks against the Constitution or a constitutional body, terms which are undefined and which can result in deregistration of the non-governmental organization in question”. Expressing concerns over violence during elections and the excessive use of force by State actors during the January 2014 election, the Committee has asked the Bangladesh Government to “ensure safety and security of all individuals in the context of elections so that they may exercise their right to vote”. It has also expressed concerns that Bangladesh, as State Party to the ICCPR, intends to relocate over 30,000 Rohingya refugees to the Island of Thengar Char, an area that currently lacks infrastructure necessary for respect of basic human rights, and is prone to flooding, and that such relocation might take place without full and free consent of the affected individuals.